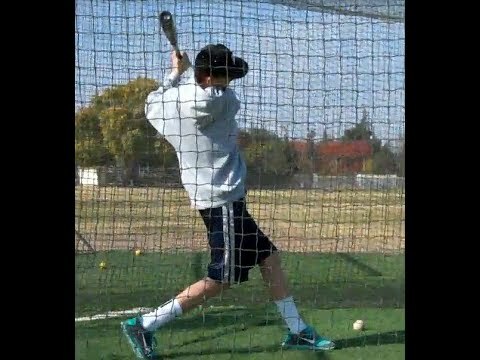 @Greg: Keep in mind, this is a snapshot of Zack’s swing, we’re still sharpening the sword. He naturally shifted into this more narrow stance without me telling him. Zack’s ear is just inside his knee (see photo) as he starts his stride. Consider Mickey Mantle’s narrow stance (see other photo) with his ear just inside the back knee. Also, since we refined Zack’s footwork, we started working on his shoulder angle and slotting his hands. I hope this helps clear things up Greg. David: you saw it if you subscribed to get the video on the homepage. Private message me by clicking the “Contact” tab.